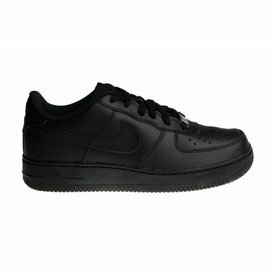 One of the most popular colorway of the wanted low version of the Nike Air Force 1 sneakers: the Nike Air Force 1 (GS) shoe in all black. 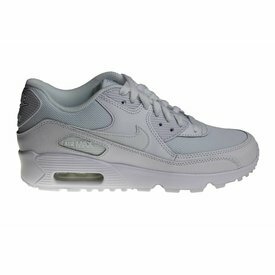 Wonderful Nike Air Max 90 Mesh (GS) in "all white". Also known as the Nike Air Max 90 "Triple White". Released in unisex children's sizes. 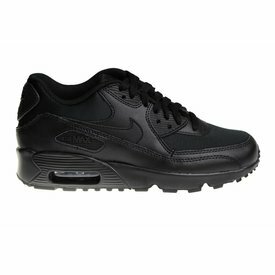 Wonderful Nike Air Max 90 Mesh (GS) in "all black". 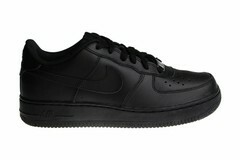 Also known as the Nike Air Max 90 "Triple Black". Released in unisex children's sizes.